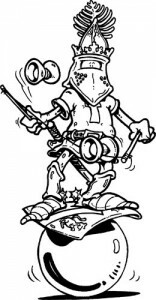 Durham City Jugglers - Durham's Tuesday night juggling club. 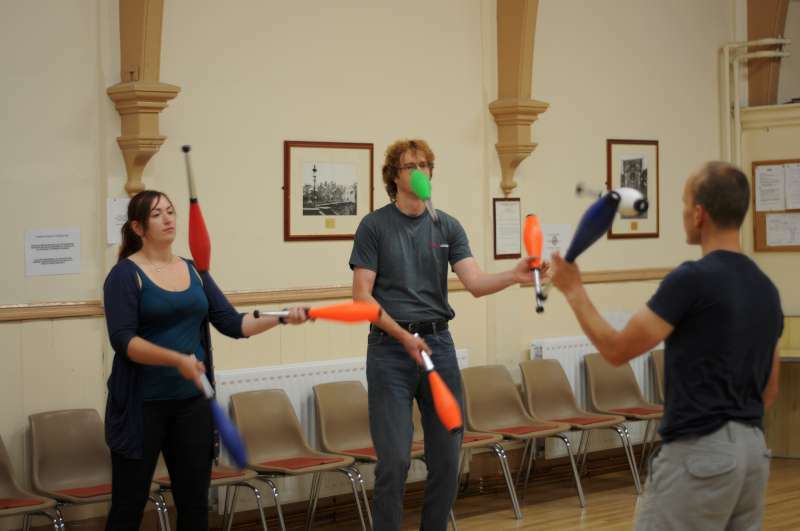 We are a Juggling Club which meets every Tuesday in the centre of Durham to practise juggling and other circus skills, chat with friends, meet new people and go to the pub. but if you want to learn there are plenty of people to help you and lots of spare kit to play with. Why not come along this week and find out what it’s all about? 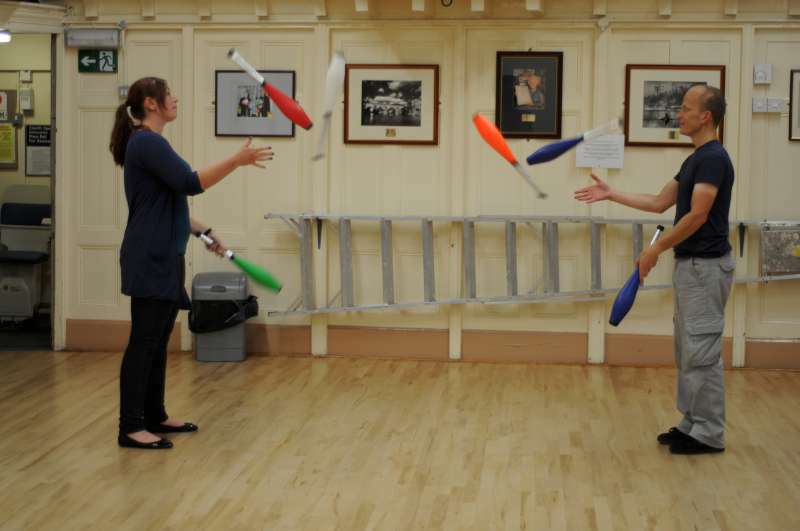 The club is one of the longest running juggling clubs in the UK. It was formed in 1996 when Scott posted a “who is interested?” note at the Ugly Jugglers stall in the Indoor Market in Durham. The Original members included Les, Dylis and Genni Steel who still occasionally attend the club. We meet every Tuesday evening from 7:30pm to 9pm at Durham Community Association, Shakespeare Hall, North Road, Durham, DH1 4SQ. You don’t have to come to every session – just turn up when you want to. We usually go to a local pub to socialise with refreshments afterwards. 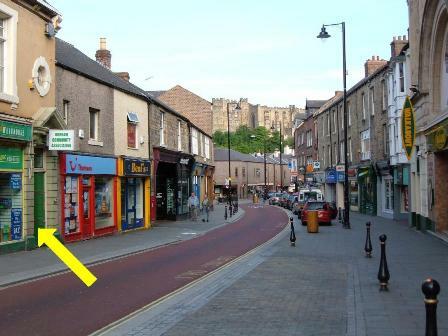 It is 1/3 mile (6 minute walk) downhill from Durham Train Station and about 120 yards (2 minute walk) down the road from Durham Bus Station. Parking is limited and you cannot park on North Road. Parking is available on Neville Street or on the roads behind the bus station; these are free after 6:00pm (easier out of student term time). Club fees are £2.50 for adults, £1 for children per session. There is no membership fee. Beer is not included. Look for the green door opposite the Chinatown buffet restaurant (which used to be the ‘WALKABOUT’ Australian theme-bar and earlier was Robins Cinema) and head up the stairs, at the top of the stairs we are the first door on the left.